We provide a ‘Menu Editor’ that allows you to customize the navigation menu in the Member Area. The menu can be changed for each of your layouts if you use more than one layout. This gives you more flexibility over how content is accessed, and also allows you to have an ability of building a mini-intranet for your church to access. To edit your navigation menu, navigate to Settings and once the page loads click on Layouts. From here, click ‘Menu Editor’ next to the layout you wish to edit. On this page, add different types of menu items using the left sidebar including links to Built-in Tithe.ly ChMS Features, Pages, Post Categories, Files or Links to Custom URLs. Once you have chosen the item you want, click the ‘Add the Menu’ button. 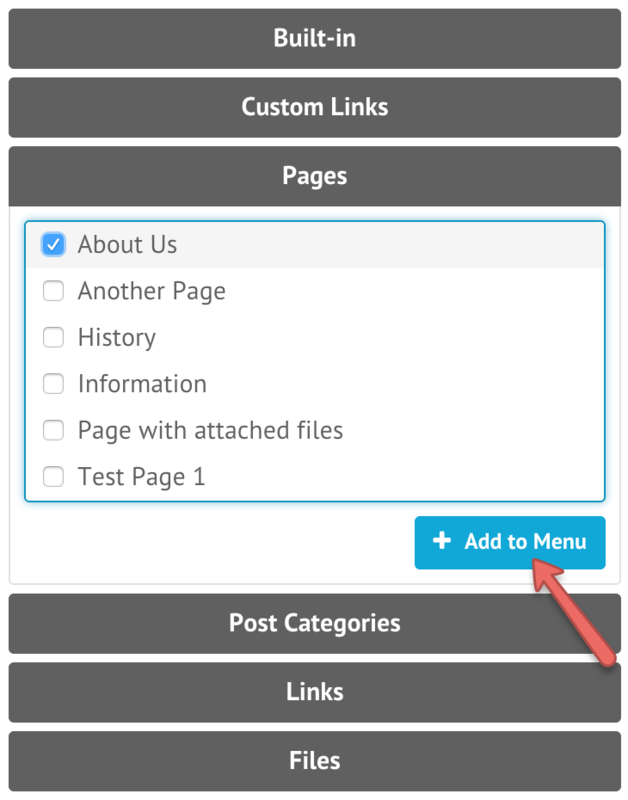 Once you have created the different menu items, click and drag the menu items to reorder them in the menu. You can create sub-menus by dragging a menu item below another and moving it slightly to the right. This will indent the menu item and when saved, add it as a sub-menu. You can have a maximum of 2 levels of sub-menus. Once you have set up your menu, click the ‘Save’ button at the bottom. Who will see the menu? The menu items will show differently to individuals according to what access permissions they have and any lockdowns that are applied to posts, pages and files. For example, if a user does not have access to view the ‘Member Directory’, or a page related to a specific department, these items will not show in the menu for that user.